In Paraguay, the economic progress of recent years has benefited mainly urban areas, while poverty in rural areas is as high as ever. The ever-expanding genetically modified (GM) soya monocultures, which already cover 2.5 million hectares of the country, are costing small farmers their livelihoods and the pesticides used pose a real health threat to the population. 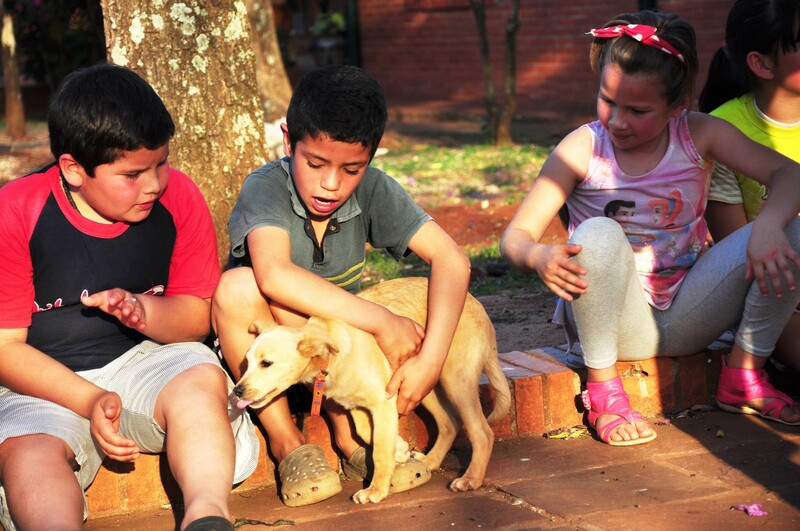 SOS Children’s Village San Ignacio is located in the town of San Ignacio Guazú in the Misiones department in southern Paraguay. San Ignacio has a population of over 50,000 and its economy is based on commerce with a large service sector, and agriculture such as the growing of tobacco and soya. At over 30 per cent, poverty in the Misiones department is higher than the national average and rural poverty, in particular, continues to be a great problem. While many used to be subsistence farmers, around 70 per cent of the population here is now employed in the tertiary sector, the majority in small, family-run businesses. This type of work often means little security, particularly in times of economic downturn. Such living conditions not only mean that a high proportion of even very young children are expected to work in order to contribute to the family income, it can also have severe effects on the wellbeing of the parents, and hence the way they treat their children. A study shows that 61 per cent of children in Paraguay experience some form of abuse in the home, be it physical or psychological. The study also notes that the more children parents have – and hence the more stress and financial pressure they feel – the more frequent violence in the home is. Sadly, in many cases parents have to work such long hours that they simply do not have the time to give their children the attention they need, ensure that they go to school, and are taken to the doctor if they are ill. Over 60 per cent of children in the region have no access whatsoever to health care, with children below the age of four most severely affected. What makes matters worse is the alarmingly high rate of children born with diseases of the nervous or respiratory systems. Many believe that the indiscriminate use of agro-toxins on GM soya plantations, and the resulting contamination of the air, ground and rivers in the region, is the cause. 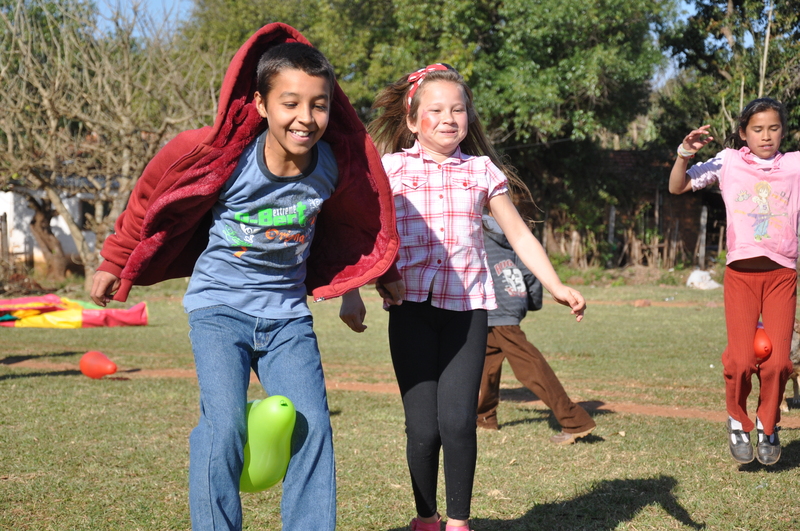 This is what childhood should look like: children having fun at SOS Children's Village San Ignacio (photo: P.Drbal). SOS Children's Village San Ignacio began its work in 1993. Family-based care: Twenty families provide a loving home for children who have lost parental care. Children live with their brothers and sister and are cared for by SOS mothers. San Ignacio also cares for children with mental and physical disabilities. Some houses are especially designed for them, and the rehabilitation centre offers therapies such as physio- and speech therapy. Children with and without disabilities live and play side by side. Strengthening local families: Since 2011, our family strengthening programme supports families so that they can stay together. The social centres, which are run by local parents, currently offer day-care to children under the age of six. The children receive all their meals at the centre, and also do educational activities such as painting, singing and dancing. Older children are prepared to go to school. When a child arrives in our care, we also support their family of origin so that the child can return to live with them. Our regular support helps the families make the necessary changes so that they can care for their child again. Supporting young people: We support young adults while they complete their education or vocational training. They live in shared accommodation and remain in regular contact with the SOS Children`s Villages' co-workers. The young people can train to become bakers, electricians, mechanics, and ICT specialists amongst other things.